It’s Frugal Fashion Friday! Go with a Floral Print in this fun collection of skirts. Cute patterns for under $10 shipped! Scallop Tank Top Solid Blouse in Green $4.99. The edging detail of this shirt makes a statement while not taking away from the busy pattern of your skirt. Shipping adds $3.99. Shirt runs small. Chiffon Mini Skirt with Belt (in Red Style) $2.99 $50.99 When steppng out this season, add the feel of fun with a bold, pretty floral skirt. Shipping adds $5.99. Skirt does run small. See Similar Skirts HERE for $8.59 shipped. Find MORE Skirts in our post this week. Roxy Juniors Dancing Shores Light Indigo Denim Jacket Jacket $38.50 $89.50.Jean jackets can be found everywhere – Kohls, Macys, Amazon, Target and more. I really fell in love with this Roxy Style with the Aztec lining on the buttons. FREE Shipping included. Floral Beige Sandal $19.90 $39. We’re so in love with these adorable sandals! Featuring an open toe, t-strap construction at vamp, rhinestone daisy embellishment, chain details, crystal daisy center, slingback strap, and buckle closure. Shipping adds $6.99. Nine West Vintage “Open Sea” Gold 18″ Necklace $17.42 $36. The gold metal, mixed with the kelly green top is the perfect pop for your collar bone area. Inspired by a rich American heritage and the craftsmanship of objects loved and collected over time. Nine West Vintage America Collection reflects a life well lived through an aged appearance, design details and a worn feel. GUESS Gold-Tone Textured Dome Stretch Ring $10.99 $22. Give your look a shot of high-faceted shine with this textured dome ring from GUESS. Set in gold-tone mixed metal. Stretches to fit. Tan Envelope Clutch Purse $4.98. Bring to your local monogram shop and spend about $10 for a 3 initial monogram. Shipping is FREE. Reminder – Follow Frugal Coupon Living on Instagram and Pinterest for other Frugal Fashion designs and finds! 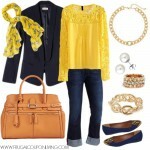 You can find more Frugal Fashion Outfits and Deals on Frugal Coupon Living. 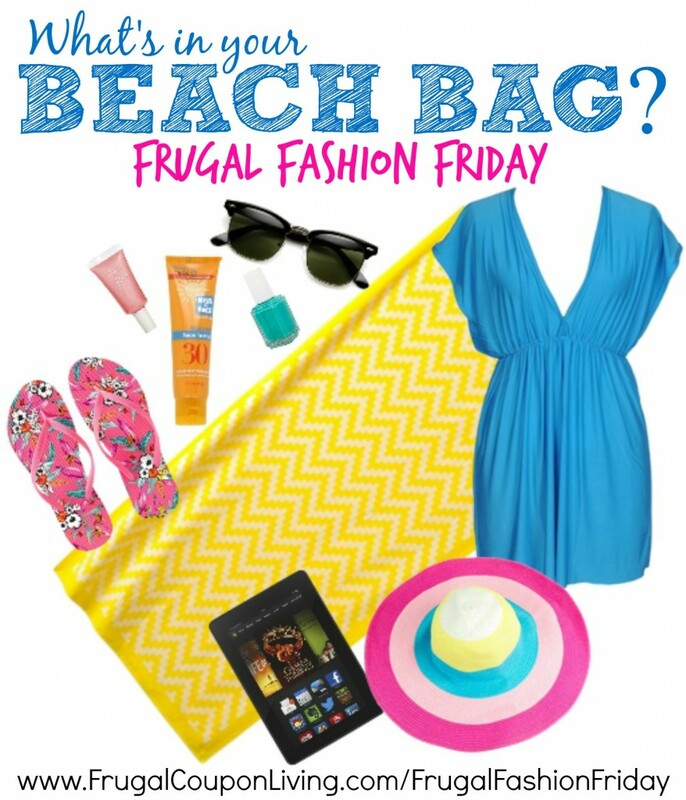 It’s a PRE Frugal Fashion Friday and this week we are investigating what is in your beach bag? With these deals, grab a beach towel under $5, save $50 off a kindle and grab an Old Navy Coupon code for these fun flip-flops! Yellow Chevron Beach Towel $6.99 $25.00. Listed for $6.99, grab as low as $4.89 with code BEACH30 for 30% off and JULYMVC for FREE Shipping. This is for Kohl’s Card Holders. Order multiple and get $10 off $50 with code JUST4U. If you do not have a Kohl’s Card, use code SUNNY for 15% off and code JUST4U for $10 off $50. Codes expire 7/20/14. More on the Kohl’s Beach Towel Sale in this post. Blue Swimsuit Tunic $23.98. Suggested retail price is $100+. While this is exaggerated it is a nice reduction in price. Shipping is FREE. Pink, Blue and Yellow Foldable Sun Hat $9.39. FREE shipping included. Kindle Fire HDX 7″ Tablet $259 $309. Save $50 in this sale. More details in this Kindle Fire Sale Post. Pink Floral Old Navy Flip Flops $7 $9.94. Old Navy has a 20% (FASHION) and 30% (STUFFSAVE) coupon code right now. Both codes expire 7/24/14. 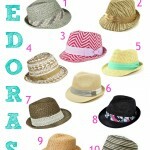 Don’t forget our Frugal Fashion Friday Round-Up! e.l.f. Essential Shimmering Facial Whip $1. Use code BDAY30 for 30% off when you spend $30 or code BDAY20 for 20% off when you spend $20. Use code FS35 for FREE shipping when you spend $35. Kiss My Face SPF 30 Face & Neck Sunscreen $7.88 $12.95. Add to your Amazon cart with Subscribe & Save. What is Subscribe & Save? This is $9.35 at Walgreens. Use code SUNSHINE for 15% off sun-care items at Walgreens making it $7.94. Blue Cabana Essie Resort Collection Nail Polish $6.25 $8.00. FREE shipping included. Vintage Inspired Classic Clubmaster Sunglasses $3.97. Shipping adds $2.98. Don’t forget our Frugal Fashion Friday Sunglasses Round-Up. Looking for additional REALLY NICE, designer and trending Frugal Fashion? 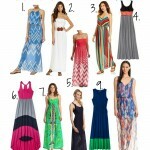 Try Ideeli, Rue La La, Zulily and Gilt! 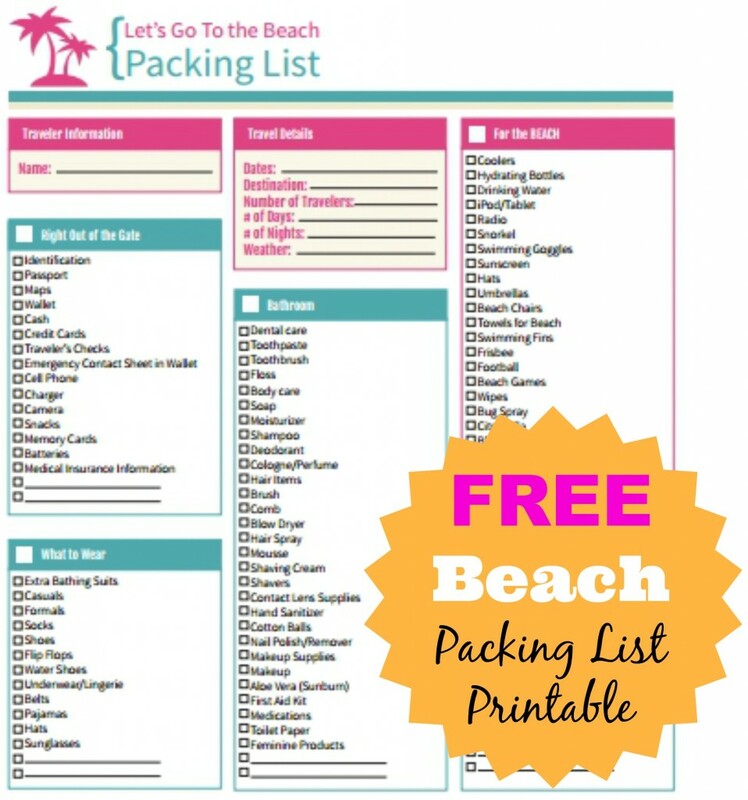 Don’t forget our FREE Beach Trip Packing List Printable! 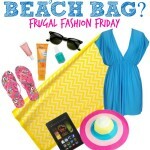 Find more Frugal Fashion Friday Deals on Frugal Coupon Living. Also follow Frugal Coupon Living’s Frugal Fashion Finds Board on Pinterest. This is important for a number of reasons, and most people disregard it. If your child is going to be away from home, you need to make sure they have certain pieces of paperwork. These include a consent to treat for emergency medical situations, a picture and an emergency contact sheet that gives at least two options. This is also where you can put your name and number in case the parents happen to need to contact you. If you child has allergies, you need to inform the other parents up front. Also write these things down and include any medications they might need. These are very important things to share with whomever is watching your kids. Of course you want your kids to have a pair of pajamas and something to put on clean when they get up the next day. If you kid has an occasional accident, perhaps you should also include extra underwear or pull ups. Never embarrass your kid by speaking of this in front of them, however. If your kid wants to bring along his favorite toy or video game, run it by your fellow parent and make sure they are cool with it. Some parents prefer not to take responsibility for expensive electronics or special items. A quick heads up and you will be in the clear as far as knowing what to do here. It is usually a good idea to bring your own pillow for hygiene sakes. You don’t have to say why…simply that your child is used to a particular pillow. Better safe than sorry with lice concerns and so on. Make sure you send your kid’s toothbrush, hair brush or comb and deodorant at a minimum. Some folks like to send their own little carry bag that is full of these types of things and that works too. The last thing you want to do is depend on someone else to provide these things. Towels and washcloths are very different from deodorant. Pack what you would not want to share. Packing for an overnight stay is really about paying attention to details and sending what you would want someone to have if they stayed at your home. Always think safety first and remember the things that might make your child comfortable. Bring Your Toiletries – The very last thing you want is to need to buy shampoo or soap on the ship or at ports of call. They will be ridiculously expensive. Yes, the cabins will have low quality options like a hotel, but few people actually want to use them. Bring the ones you use the most. You will be very glad you did. Pack Light on the Clothes – Cruise ships are generally very economical on laundry charges and dry cleaning. You can have more room for more important things and your clothes will always look excellent. Fifty outfits are not necessary on a cruise ship…just a few of your favorites. Pack According to the Weather – It might seem obvious, but you still need to consider the weather. For example, you will not bring the same things for an Alaskan cruise that you would on a tropical cruise. Looking ahead to the weather expectations can be helpful as well. Weather can change quickly when you are on the move so being prepared for both extremes is not a bad idea. Bring More Than One Pair of Shoes – Shoes are extremely important when going on a cruise and often overlooked. You want some waterproof shoes for the deck, dress shoes for dinner and walking shoes for when you leave the boat. A good pair of flip flops are always welcomed as well. You are only as comfortable as your shoes. Take an Empty Bag with You – Packing an extra bag will help a great deal where souvenirs and other things are concerned. You almost always come back with more than you left with, so an empty bag will help a great deal. This can also serve as a dirty laundry bag while you are there. 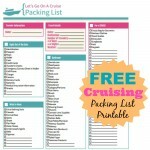 Certainly this list is not complete, but it is certainly a good start towards getting ready for your first cruise. By following these simple guidelines, you should be well on your way to a great time out on the open ocean! 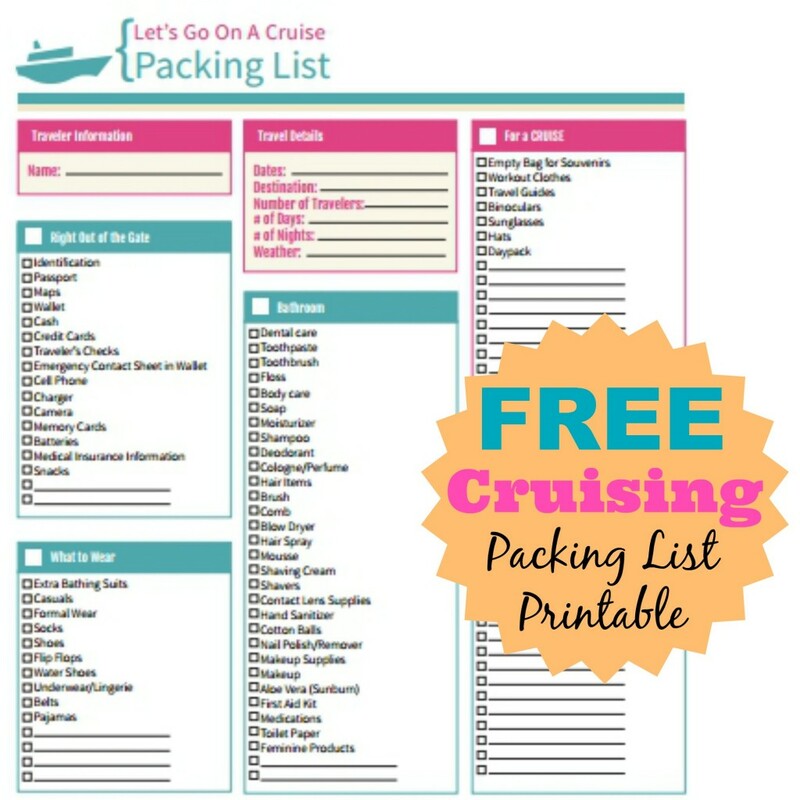 Cruise Packing List: Print This List. Going on a Cruise? 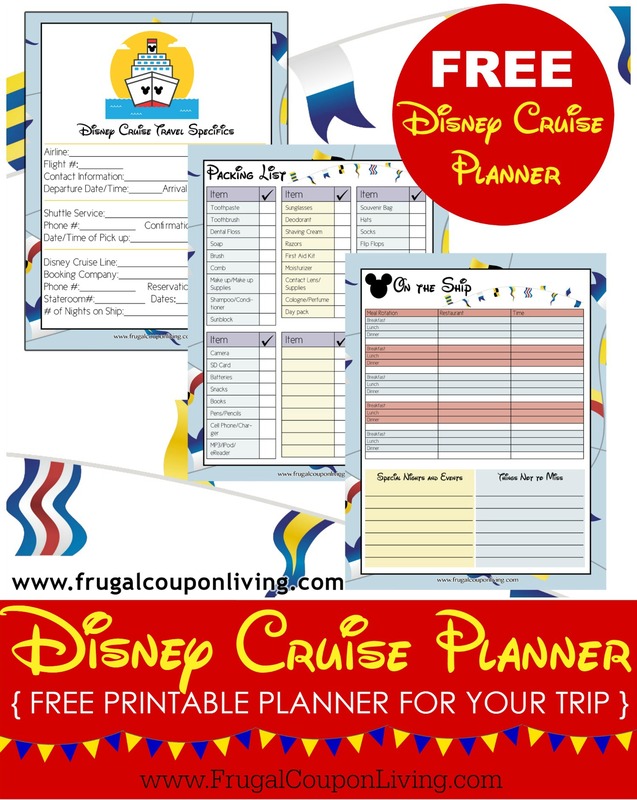 Take a look at this Disney Cruise Packing List on Frugal Coupon Living. Pin to Pinterest. The last thing you want to do on a ski trip is be cold. Layers are the key to warmth in the snow and you start with a good pair of thermals. Add in some turtlenecks, jackets, sweaters and some good ski pants and waterproof gear and you will be set. Make sure your ski coat is of top quality for optimal warmth. The last thing you want is to be buying hand and foot warmers at the cabin store. Pack plenty of toiletries that you will need and that includes lip balm and first aid kits. You never want to be caught without these types of things up on a mountain. If you do have to buy them, you will pay a premium that your wallet will certainly feel. Decide ahead of time if you are going to buy your gear or rent it. If you do decide to rent it there are certain things you should still buy for yourself. One thing is a quality pair of goggles. These are so vital to your comfort and safety that having your own is really important. Likewise, a solid pair of ski boots that fit are vital too. Like the old rental skates at the roller skating rinks, finding a good rental pair that fits is a challenge. Pick out a good pair and pay the price…your feet will thank you later. Not every moment will be spent on the slopes. Perhaps you will go to a nice, formal dinner and need a tux. Maybe you will take in a movie or spend some time walking around a nearby town. 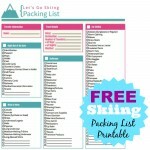 Whatever the case, you need to pack for some of these possibilities and be prepared. You rarely spend the entire vacation doing nothing but skiing. Your shelter is one of the primary things you will need on a camping trip and you have to give some serious thought to it based on where you are camping. Unless you are staying in an RV or camper, you will need to determine how you plan to sleep. Will you go the route of sleeping under the stars, or will you use a tent? Perhaps you are planning on doing an old fashioned lean-to and rough it like the people of old. Whatever the case may be, you have to pack the supplies needed to make it happen. Regardless of which method you plan to use, pack an extra blanket or two and a high quality sleeping bag for each person. Again, you have to consider whether you are bringing food or hunting your food. Either way, you need to pack some food for emergency because hunting is not always successful. If you are cooking, then bring foods that are easy to make over a fire and that will not attract a ton of animals such as bears. Canned beans, eggs, sausage, marshmallows, sandwich stuff and hot dogs are good examples of foods to bring. Dehydrated foods are good as well. Just be sure all food is in bear proof containers to prevent smells from emanating into the forest. If you are hunting your food, be sure you are properly licensed and bring it along. Bring your fishing tackle and gear and perhaps your firearm if you are hunting that type of food. Some prefer to carry a bow and arrow. Whatever your method of hunting, be sure you bring plenty of gear. Finally, make sure you bring cooking gear if you are making your food at the site. You will need a pot, grill top, utensils, coffee pot, spatula and something to boil water in should your water run out. Bring a bit more than you think you need if possible. Clothing is not something you need to pack heavily as you will be living a minimized lifestyle in the woods. Pack plenty of good, warm clothing if you are heading into cold weather and a warm coat. Most people bring two changes of clothes so that they can rotate their outfits each day. Bring separate sleeping clothes so that you can air out your gear each evening or wash them as needed. Extra socks and an extra pair of boots are advisable if you have room in your pack. This section can be as large or small as the area demands. For example, if you live in the area of the country where bears are quite common, you need to have bear spray and a sidearm at least. First aid kits are also necessary along with extra bandages, a splint, allergy meds and some antibacterial spray. Sunscreen is always a good thing to keep as well as a good, safe bug spray. Finally, make sure you have a means of communication to the outside world if you are going deep into the woods. A cell phone is important these days, as well as a good solid compass that you can trust. Never put anything above your safety and know your limitations. 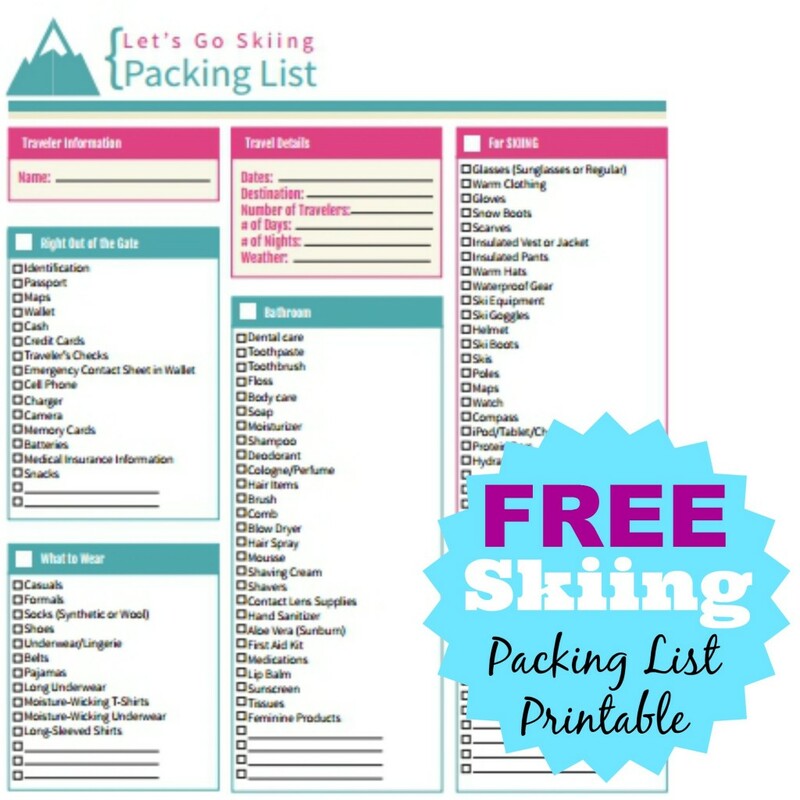 This should get you the majority of what you need for your packing, but be sure to consider your own personal needs as well. Some folks need specific foods or medicines and that should always be top of the list. Also, make sure you keep identification on you as well in case you get lost or disabled. It all starts with the ride or flight there. The last thing you want to do is go out the door without some of these essentials. When you hit the road, you will need these things at a minimum. If you are flying, riding the train or traveling via some other means, be sure you also have your boarding passes and various travel specific items ready to go. 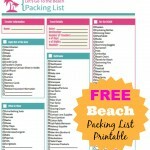 This list of beach specific items is not all inclusive, but it is pretty darn close. 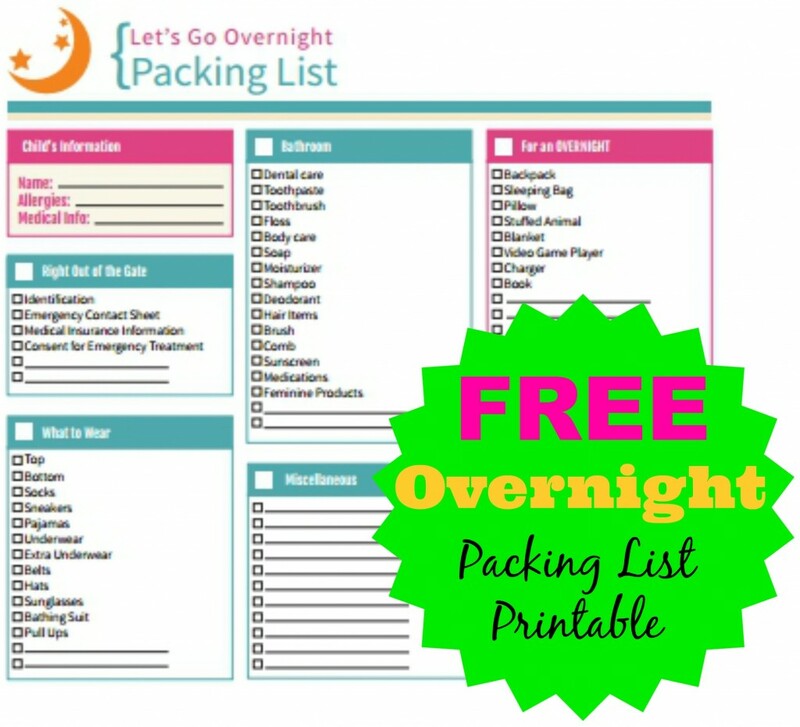 Start here and work your way out and you should be pretty much covered for your trip. 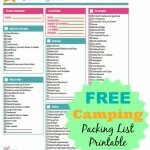 This list of things to remember to pack for a beach trip is far from complete because not everyone does the same things on the beach. It is, however, a pretty solid list to get you started. If you have any suggestions for additions to the list, let us know! Going to the beach? 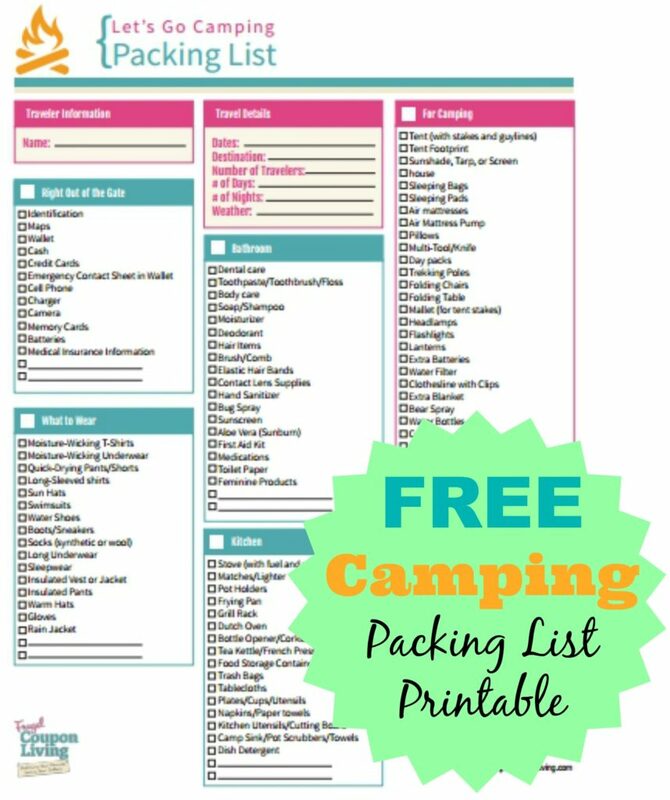 You will want to take a look at this HUGE LIST of Beach Tips, Tricks and Hacks on Frugal Coupon Living. Pin to Pinterest. This week for Frugal Fashion Friday we are trying something new – Rompers. A bit youthful, but rising on the fashion pyramind. Some blend one fabric from the top to the bottom, others appear you are wearing two pieces like our outfit for today. Women’s Cream & Black Lace Jumper $21.99 $28.99. Top and Dress Shorts in this romper for UNDER $22 – WOW! If you are saving on the outfit, perhaps you can invest more in the accessories. Save 5% each on Qualifying items offered by sheinside when you purchase 2 or more. Perhaps pick up this tan chiffon dress from our Thanksgiving Outfit – can be worn year around! Gold-Tone White Oval Bead Ring $40. Serene color complements the unique design of this Robert Lee Morris ring. Complete with an oval white resin bead. Crafted in gold-tone mixed metal. Buy online and pick-up in the store to save on shipping or FREE shipping with a $99 purchase. Want to spend less, the ring in the Purple Maxi Dress Outfit is black and gold and only $6.95! Charter Club Women’s Gold-Tone Crystal Flower Stretch Bracelet Watch $21 $35 Gold-tone mixed metal bracelet with crystal flower accents. Sweet watch that acts as well as a cuff bracelet. Buy online and pick-up in the store to save on shipping or FREE shipping with a $99 purchase. Double Black CZ Long Faceted Drop Earrings $49 $125. These earrings scream elegance with a fraction of the price. Perfect for the little black drress for the the shorts romper. FREE shipping included. Black Nina Handbags Keiko Clutch $25.33 $55. This ball mesh clutch is simple in design and allows the rest of your outfit to stand out. I love the savings of 54%! Jessies Jessica Simpson Black Heels $54.97 $79.99. Dress up your look with the Jessies by Jessica Simpson. This sassy sandal features a black leather upper with sultry adjustable ankle strap, and 3 3/4 inch heel. Last but not least is cream snake print trimmed with shimmery gold metallic. FREE shipping included. Need someting for less, don’t forget that you can grab heels (and other shoes) for under $20 a pair on JustFab. Similar pumps by Jessica Simpson are found on Amazon for $32.99 and $50.00. Another style on 6pm for $49.99. Select sizes available.